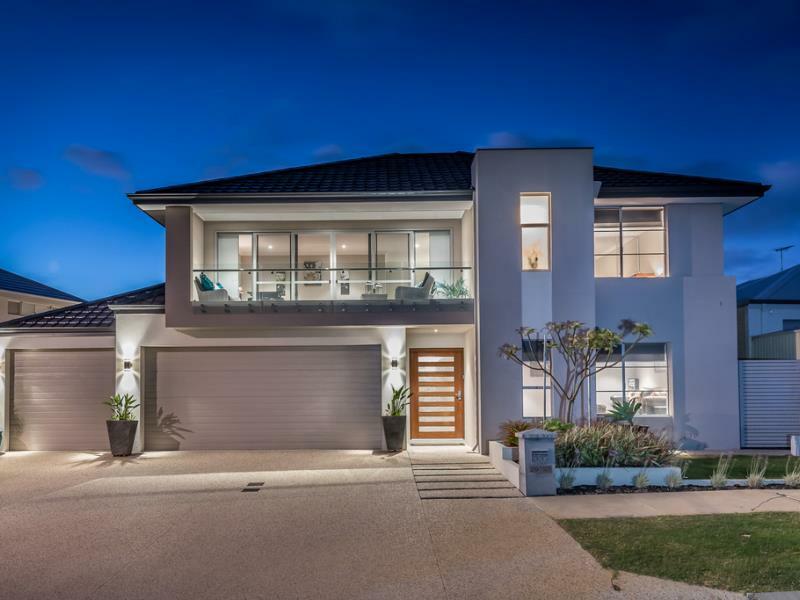 PARKSIDE PERFECTION ON THE COAST! Overlooking the gorgeous McIntyre Park in a quality pocket of north Burns Beach that finds itself only walking distance away from the surf, sand and popular Burns Beach Caf & Restaurant, this stunning custom-built 5 bedroom 2 bathroom two-storey residence by Highbury Homes offers exceptional modern living of the highest order. Only the finest in fittings and fixtures have been utilised throughout the construction of this expansive abode, from glass and stainless-steel staircase balustrading to gorgeous travertine stone that borders a shimmering below-ground rear swimming pool and its striking water-blade feature. 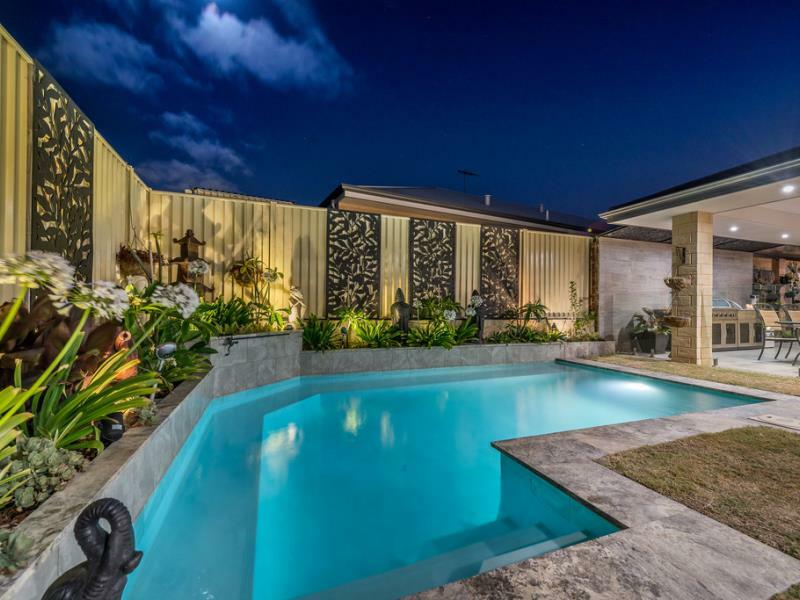 A fabulous poolside entertainment setting consists of a spacious rear alfresco protecting a Matador gas barbecue - and its spectacular stone finishes - from the elements. Sliding stacker doors seamlessly bring the outside in, linking it all to a comfortable open-plan family and dining area that incorporates a massive kitchen into its functional design - complete with a 900mm Westinghouse gas cooktop and oven, an Omega dishwasher, a large appliance nook, a breakfast bar for casual meals, a walk-in pantry, coffee nook and sparkling stone bench tops. Also downstairs are a carpeted theatre room with an elevated seating area for the ultimate cinema-style experience, a generous study-come-fifth bedroom with a walk-in storeroom, a powder room (with a stone vanity), well-appointed laundry and a private master suite that capitalises on its tranquil position of the back of the floor plan by boasting a splendid pool vista, feature white plantation shutters, stylish light fittings, separate "his and hers" walk-in wardrobes and a dream fully-tiled ensuite bathroom with a free-standing bathtub, shower, heat lamps, a separate toilet and plenty of space for pampering. Upstairs, a central games room extends out to the front balcony - via a second set of sliding stacker doors - and enjoys pleasant views of the park across the road while servicing the three minor bedrooms and their mirrored built-in robes. You will also find a separate toilet on this floor, as well as a walk-in linen press and a fully-tiled main family bathroom with a separate bathtub, shower and stone vanity that help cater for everybody's personal needs. 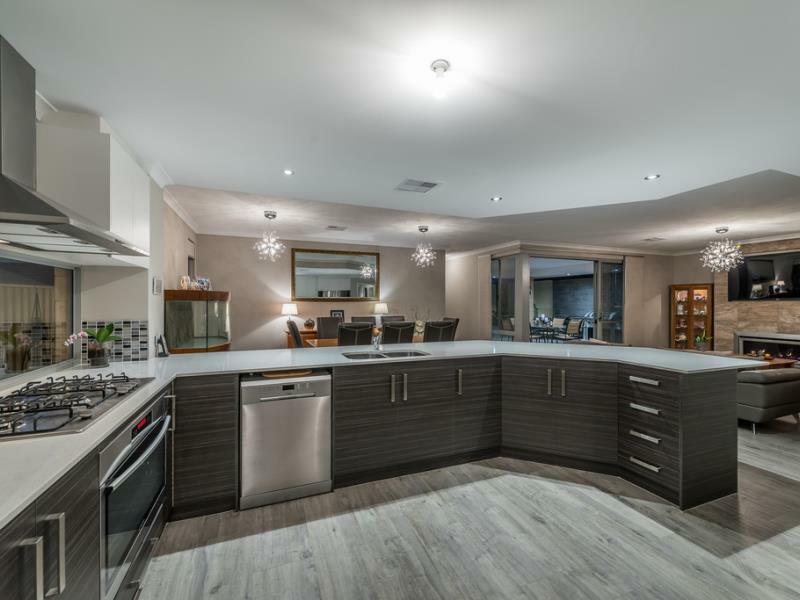 With the beach itself, top schools, shopping, food and entertainment at Currambine Central, community facilities, public transport and the convenience of the freeway all nearby, there really is no better place for you and your loved ones to call home. The coast is clear!